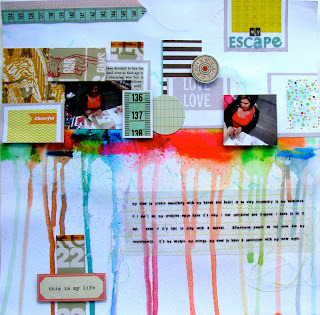 I always post my top 10 favorite layouts or projects of the year, but this year I found a group of artists that wanted to have a blog hop so that readers of our blogs could enjoy more top 10 lists too! So, here are my top 10 favs of 2012 and you can then hop to the others! There is a giveaway at the end too! 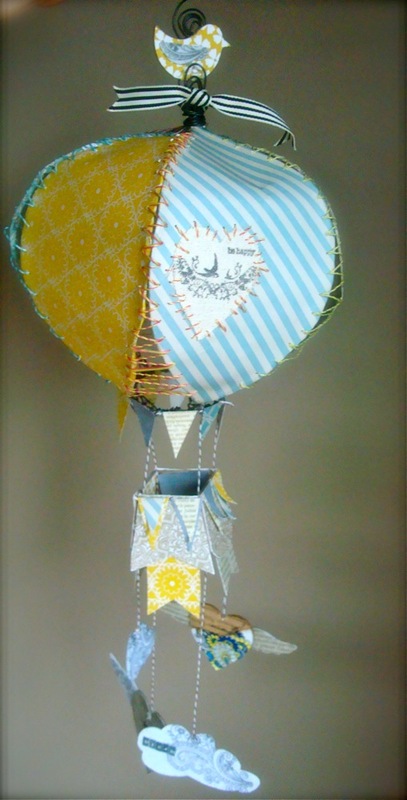 1) Altered hot air balloon using Pink Paislee papers and twine and Basically Bare chipboard and felt. 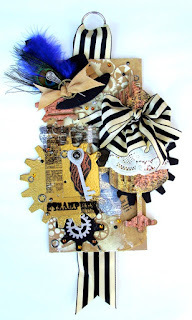 2) Steampunk wall hanging. I love the way the WOW Embossing Powders create the metallic look on the chipboard and the May Arts ribbon adds a punch! 3) Nicho with Basically Bare. All made from chipboard, cardboard, and felt AND WOW Embossing powders. 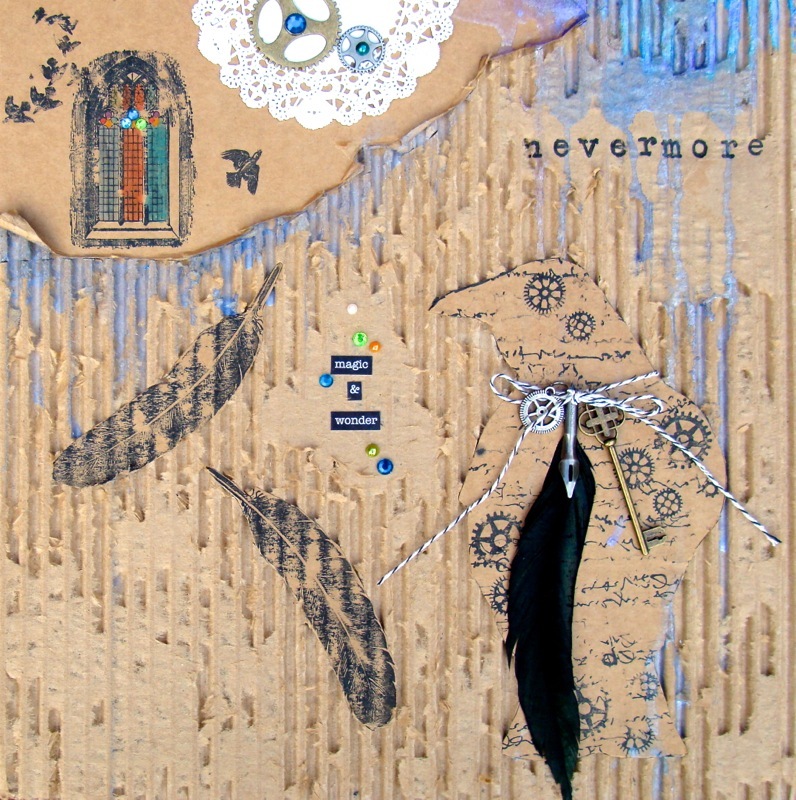 4) Nevermore cardboard piece. I did this for a Blog Hop with Faber-Castell Design Memory Craft and 100 Print Press. I LOVE LOVE LOVE cardboard! I cut away the layers and did lots of stamping. 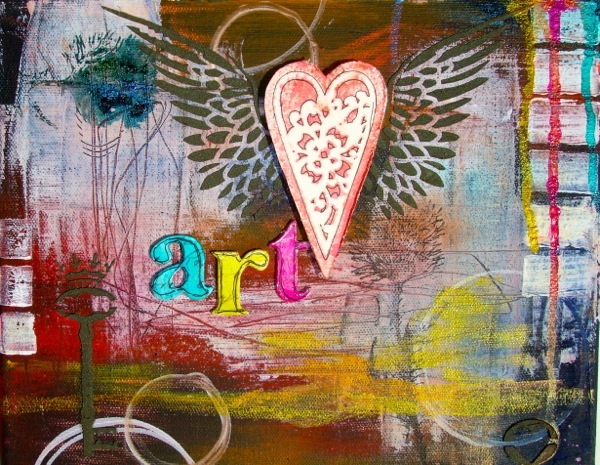 5) Canvas with Faber-Castell Design Memory Craft and Creative Imaginations. 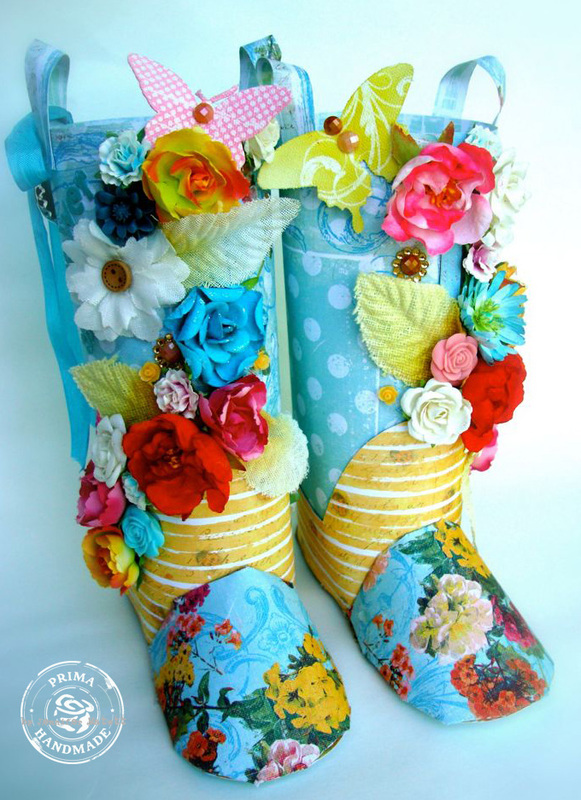 Perfect match with all the mediums and the colors! Gelatos are my favorites!! 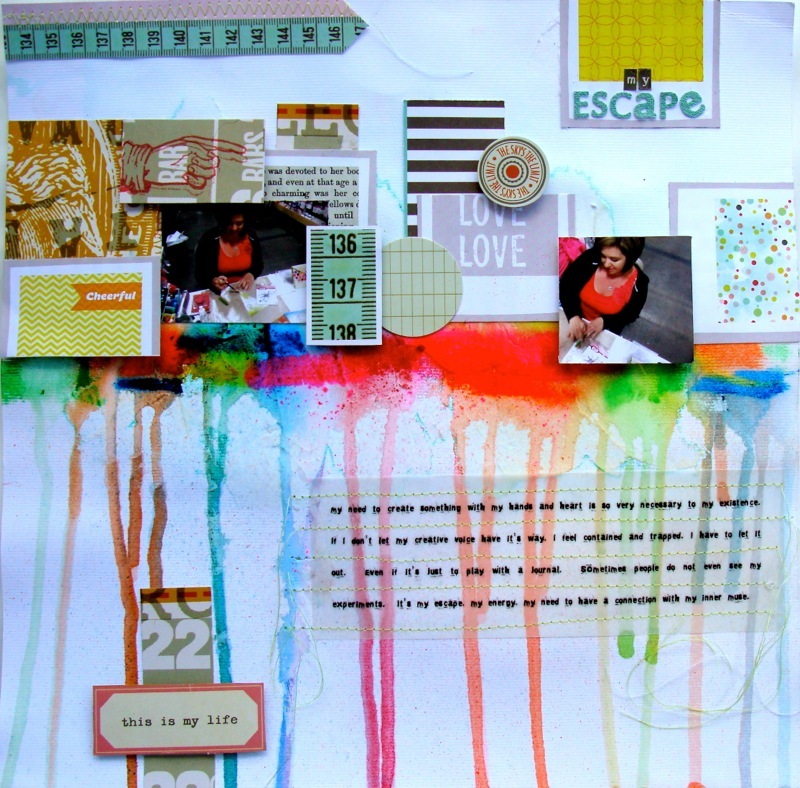 6) One of my layouts in which I am way more linear than usual. I loved how the speech bubbles are arranged. I did this one for one of my Get It Scrapped assignments. 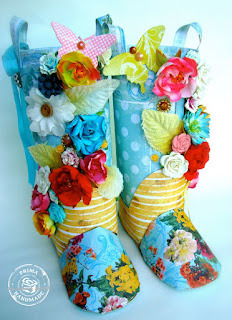 7) Prima boots from CHA Summer! 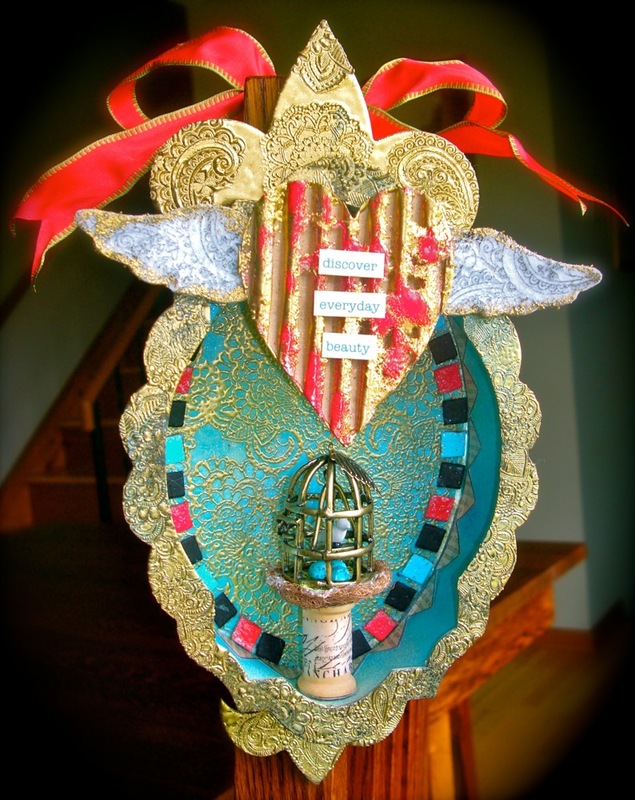 All made with paper, flowers, and adhesives. I worked so hard on these! 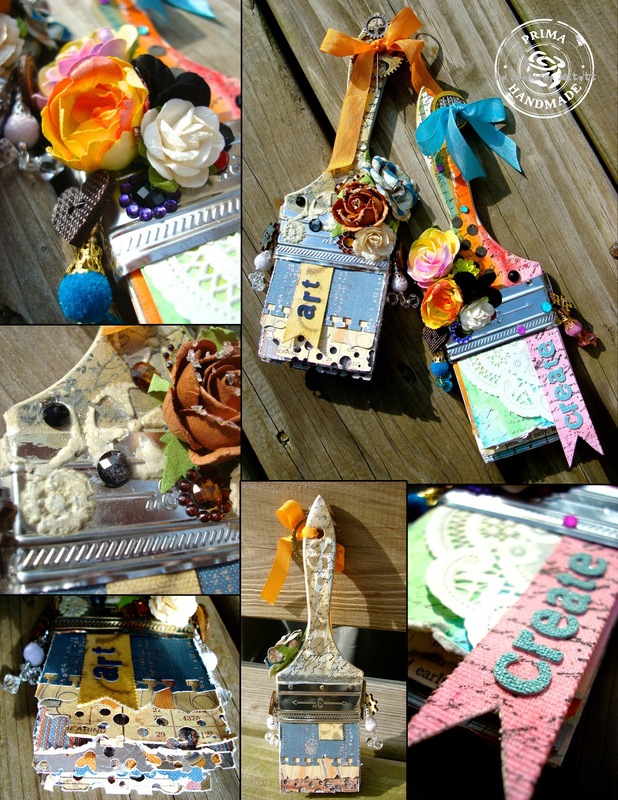 8) Another CHA Summer project... altered paint brushes for Prima and Faber-Castell Design Memory Craft booths. 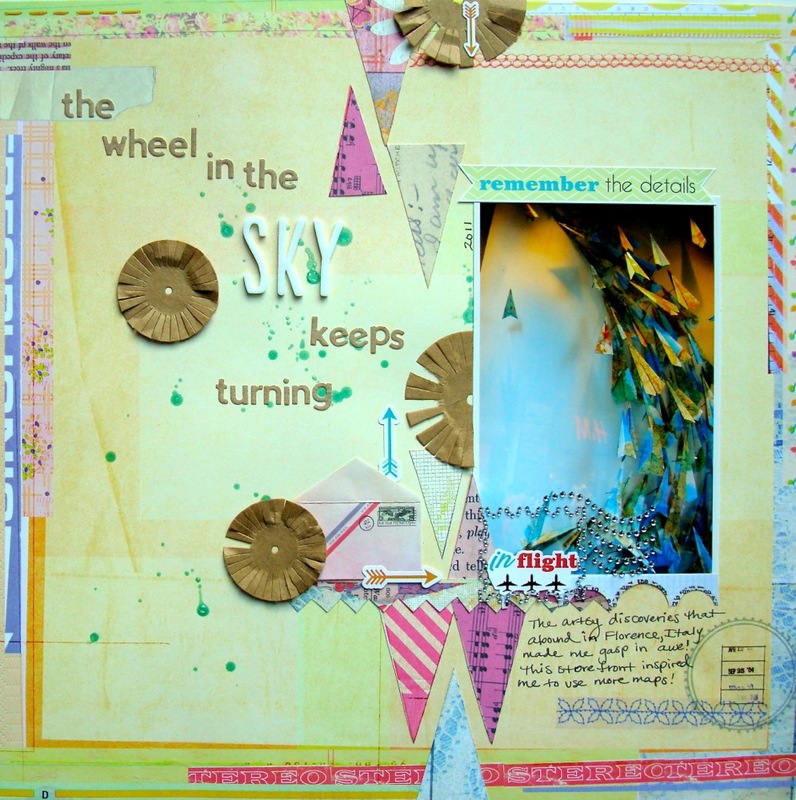 9) My favorite layout from one of the Scrapbooking From The Inside Out kits. I used Fiber Paste and Gelatos on this one! 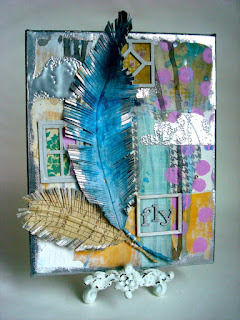 10) Fly canvas... lots of papers, embossing powders, and embellishments. 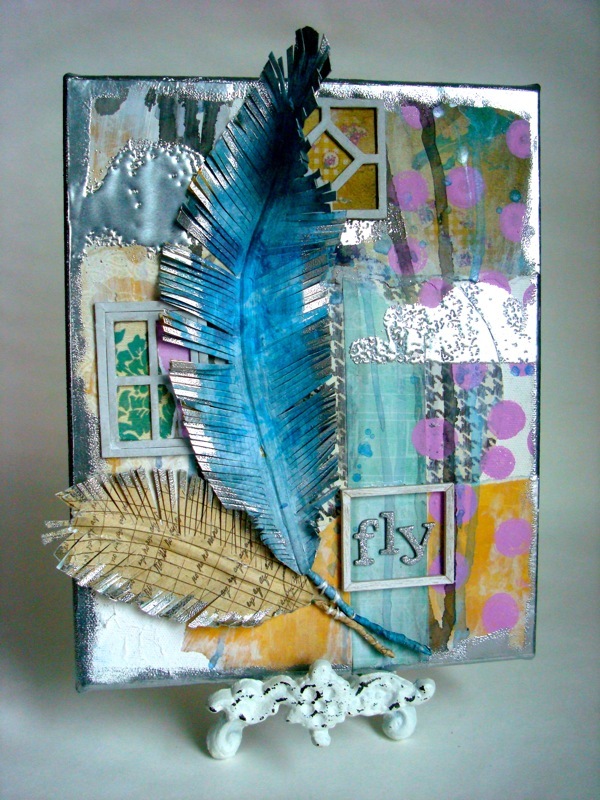 The feathers are paper and wire with WOW Embossing powders on the edges. 11) Okay... so I added this one. I love this layout because I love this photo from Italy and this layout makes me so happy to look at! GIVEAWAY! If you do the following, you have a chance to win a prize pack that includes Faber-Castell Gelatos, WOW Embossing powders and stamps, and some Basically Bare shapes! 1. Be a follower of my blog so you can see if you won or not. 2. Leave me a comment telling me which of these projects you like the best. You have until 12:00am (EST) on Jan 5th to enter. I will draw a winner on Jan 5th and post it on my blog. Good luck! There are lots of other giveaways on this hop! Plus some really amazing inspiration.